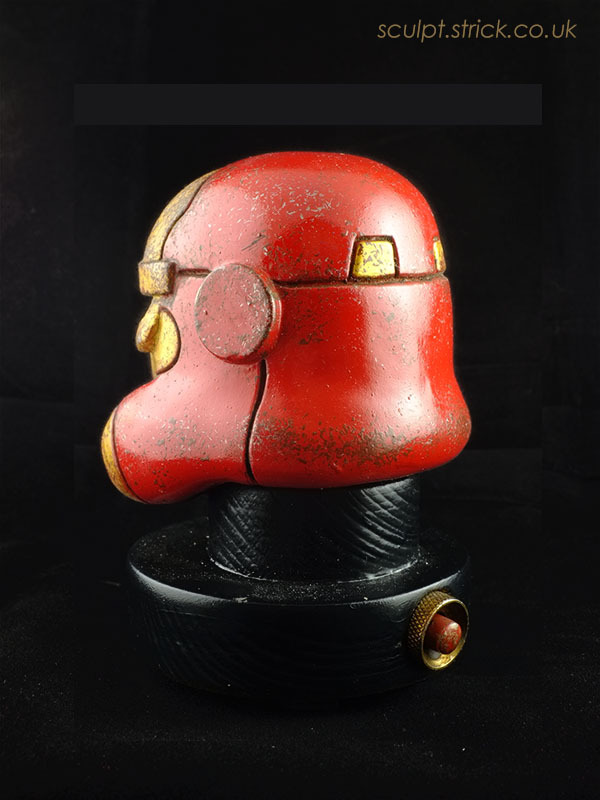 A 1:5 helmet model sculpted in Milliput as a gift for a friend. 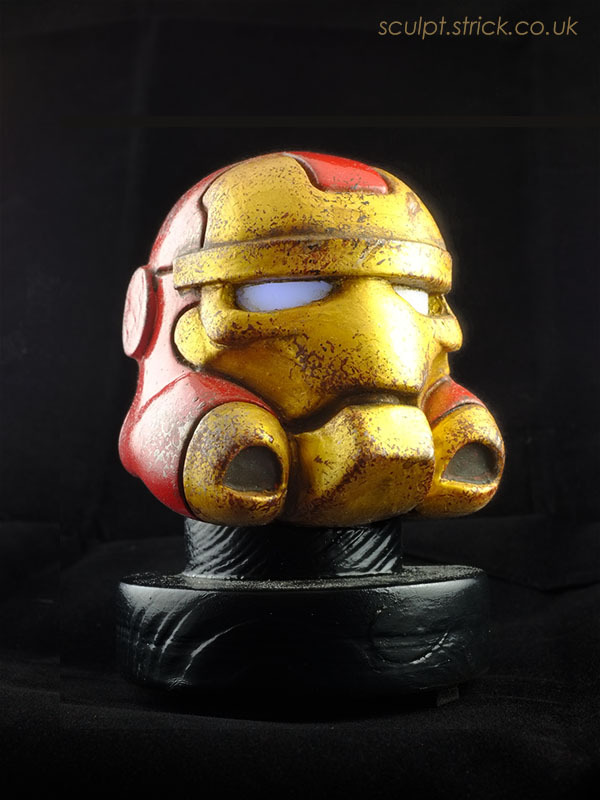 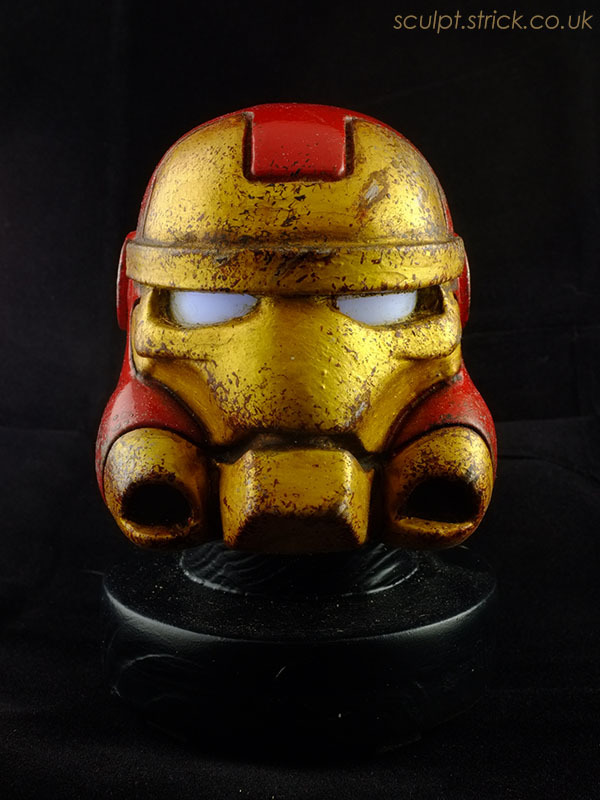 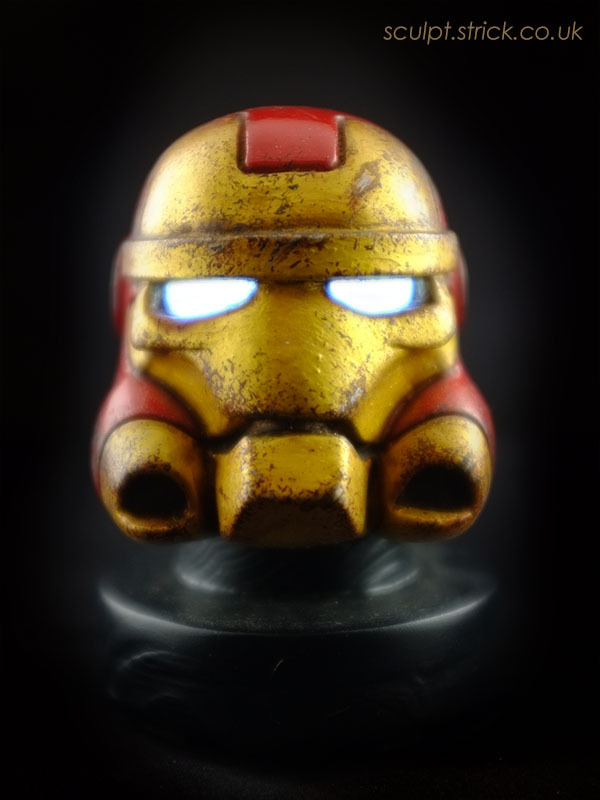 The miniature helmet combines elements of the Star Wars Stormtrooper and the Marvel Ironman suit. 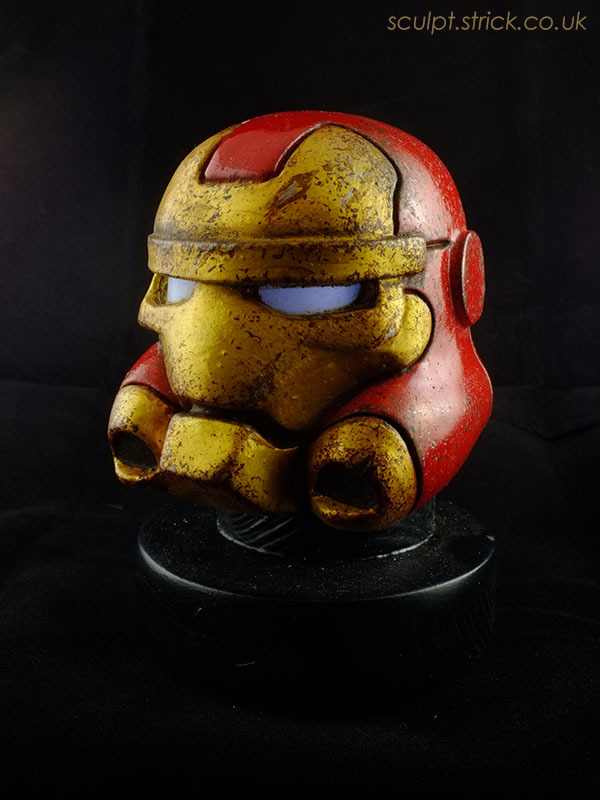 It contains LED lighting and sits on a wooden base.